A page or so later, on his way to teach the daughter of one of those rich Berlin families, he goes on to describe the place as a “millionaire’s slum”. But the wealthy and the well-to-do continue to be quite happy in their moneyed-sanctuary between the trees. I never feel completely comfortable in a forest, with the absence of views and the feeling of enclosure. Perhaps it is because my idea of nature was formed on childhood walks over Welsh coastal headlands of gorse and heather, the bleak, rolling moors of West Yorkshire, and the sheep-sheared slopes of Snowdonia. Fairytales also warn us of the dangers of the forest, of tempting houses made of sweets and wolves in disguise. I have lived in Berlin for a decade, but I have only infrequently plunged into those woodlands that make up much of the territory of the city. 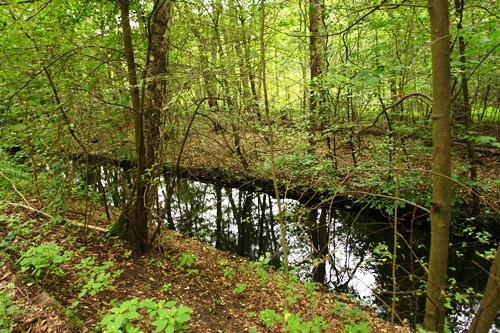 Since Berlin its territory in 1920 there are a number of forests within the city limits, in Tegel and Köpernick, the Planterwald and Wuhlheide. Even the Tiergarten feels, in parts, more woodland than city park. The forests are the lungs of Berlin, and have long been the weekend retreat of Berliners looking to escape the noise and dirt of the city streets. That the forests of Berlin are so well loved by the city’s residents should come as no surprise, as more than any other county, the forest plays a fundamental role in the German imagination. From the Germanic tribes emerging from the trees to thwart the imperial ambitions of the Romans, the forest has been a cornerstone of the founding mythology of German culture and identity. Those fairy tales that still inspire in me a sense of foreboding amongst the trees well into adulthood came, of course, from the forest heartlands of this country, collected by the Brothers Grimm as they travelled. In a painted by Casper David Friedrich a Napoleonic soldier stands, alone and surrounded by the forest looming menacingly all around him, at once threatening to the soldier but a sanctuary for those who belong, well hidden amongst the trees. The oak, under which Goethe penned poems and plays, received protected status by the German state. The Nazis mythologised the forest as a kind of symbol of true Germanness in the face of the degredations of the city and modernity. After the war the fear of “forest death” became one of the rallying cries of the green movement, and Germany remains one of the few countries on the planet where a Green party has held office at the highest levels of government. Even in the GDR, a regime that attempted to build the idea of a new Germany out of the rubble of the Second World War through a complete rejection of what had gone before, the leaders – realising their vulnerability in Berlin – moved themselves to a secure compound in the woods around Wandlitz, finding sanctuary from their own people in the safety of the forest. 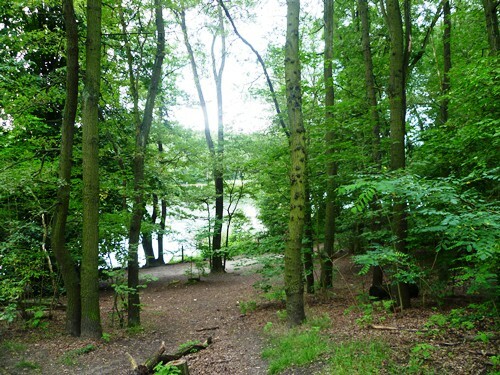 The Berliners certainly love their forests, and for West Berliners Grunewald and its lakes played an important role during the years they were trapped behind the Berlin Wall. 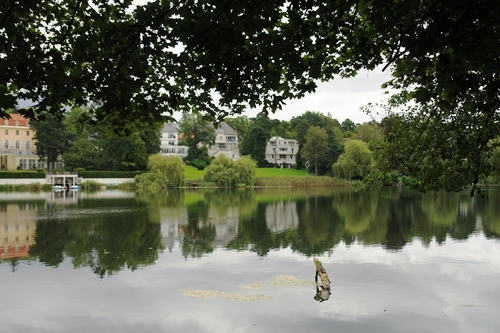 With no access to the surrounding countryside, all of it being part of socialist East Germany, the Grunewald, the lakes and the beach at Wannsee where the only patches of accessible “nature” that did not involve a plane ride or border controls. Unlike Isherwood, I don’t find the Grunewald dreary or dank. I don’t even feel that uneasy in this particular forest. Perhaps it is the knowledge that the city is never far away, that at any moment you could stumble through the last of the trees and into a cozy pub or café, or perhaps it is just the knowledge that when tiredness strikes, and the feet will do no more, there will be an S-Bahn along in a minute ready to take me home. This entry was posted in Places on January 6, 2012 by Paul Scraton. but this weblog provides quality based writing. pour le monde matériel, la peur de mourir et l’ignorance du sacré. This cheat engine based mostly program could be easily use so as to add limitless free assets in your sport account! There is no time commitment, no levels and no required specifications. It attained great heights with the addition of online poker. finger food to take care of your appetite.